Early in the morning, you leave the metropolis of Auckland and drive over the Harbour Bridge and along the Hibiscus Coast to Matakohe, where you can visit the popular Kauri and Paper Museum (optional). In the afternoon, you arrive at the Waipua Kauri Forest where you find the typical Fern trees next to 1500 years old mighty Kauri trees. The tour continues via Opononi and along the Bay of Hokianga to the Bay of Islands. Today you can make a trip along Ninety Mile Beach up to the top of North Island to Cape Reinga. 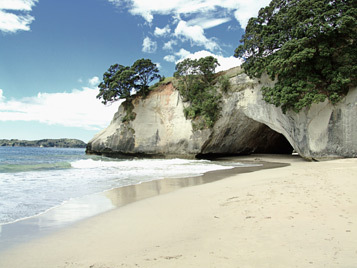 Or take a boat trip to explore the Bay of Islands, New Zealand's subtropical paradise. Visit the famous “Hole in the Rock” (optional). See Russell, New Zealand's oldest city and former capital. Visit Waitangi (optional), where in 1840 a fundamental treaty between the English and the Maori was signed. Still today, this Treaty of Waitangi has a great impact on the living together of the two cultures. Early in the morning, you drive via Whangarei and Auckland to Thames, gateway to the Coromandel Peninsula. 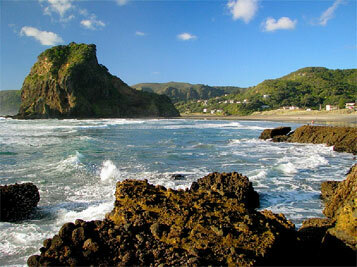 Stroll through the township and discover a bit of the rich history of the Coromandel. Today you can spend the day along the east coast and its various beautiful beaches. Highlights are Cathedral Cove, Hahei Marine Reserve and Hot Water Beach, where you have the chance to dig your own hot pool at the beach (depending on tides)! We suggest a boat ride along the coastline to discover the Marine Reserve (optional). In the afternoon you arrive at Rotorua, the main attraction of the North Island. This thermal city is built around many hot mineral springs and geothermal attractions. Rotorua is also a hub of Maori culture. In the evening, you can enjoy a delicious Hangi, a traditional Maori meal cooked in a hole in the ground (optional). After the feast, the Maori group sings and dances, including everyone in their lively musical culture. Experience the Maori Haka and see the swinging of the poi, symbolising the flight of the bird. All actions, games and dances are accompanied by harmonious singing (optional). You can spend the whole day in the Whakarewarewa Thermal Reserve or at Te Puia, both well-known for their boiling mud puddles and erupting geysers (optional). Both attractions will make you "feel the pulse of the earth". At Rainbow Springs (optional) you could see New Zealand's National animal, the flightless and endangered Kiwi bird, in its night house. Travel through an important forestry area reaching the picturesque, fast-flowing Huka Falls. The Thermal Energy Plant at Wairakei is of great technical interest. Lake Taupo is the largest lake in NZ and of volcanic origin. State Highway 1 runs along the lake’s edge. You then drive to the heart of the Tongariro National Park. This, the oldest of the New Zealand National Parks, features a grand volcanic mountain landscape. You have the opportunity to stroll in the National Park and see three active volcanoes at an altitude of up to 2700 meters. Today we would suggest to start in the early morning and set off on the last nature trek of this tour, the Tongariro Crossing, The Tongariro Crossing is one of New Zealand’s most popular treks, owing to the diverse and at times moon-like landscapes encountered, with spectacular views (optional). A climb up Mt. 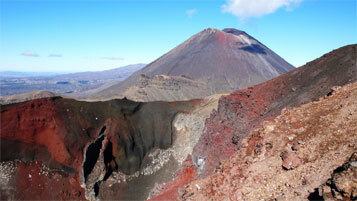 Tongariro (1,968 m) offers breathtaking views over to the neighbouring volcanoes Mt. Ngauruhoe (2,291 m) and Mt. Ruapehu (2,797 m). The track crosses several craters, passing by fumaroles and hot springs, and also the luminous-turquoise Emerald Lakes. It is also possible to undertake an easier walk nearby if you prefer. 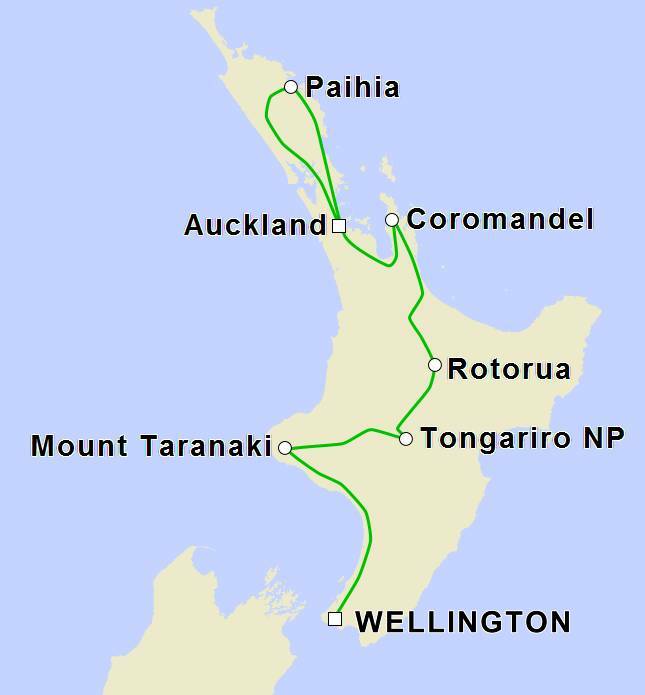 Your tour continues via Taumarunui and Stratford to Mt. Taranaki. On the “Forgotten Highway” 43, you will experience a beautiful landscape and understand why this highway is declared a Heritage Trail. You will reach Dawson Falls and stay there. From there, enjoy some hiking through the impressive nature or visit the excellent Visitors Centre. Today, drive to Wellington. New Zealand's capital lies at the harbour and the steep hillsides adjacent to the Cook Strait. Wellington has been the capital city since 1865 and such is also the country’s political centre. The day is at your own leisure. Cisit the Parliament Buildings, including the “Beehive”. 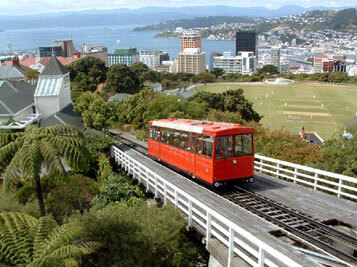 The top of the cable car, a Wellington icon running from Lambton Quay, gives a fine close-up view of the city. From here, you can visit the Observatory and stroll back through the 26 hectare Botanic Gardens, extending all the way down to the parliamentary complex. The Old St Paul’s Cathedral features a striking interior made from native timber and magnificent stained-glass windows. Apart from its importance as the political centre, the city offers a large cultural choice of museums and art galleries. Check out the modern National Museum Te Papa, which gives good insight into NZ history and Pacific culture. In the evening, enjoy a leisurely stroll along the harbour side and the city’s numerous cafés and restaurants. Drop off your rental car at the Wellington rental car depot and depart NZ for your next destination. 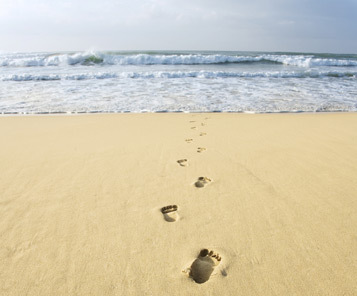 We can also provide you with a tailor-made travel package - contact our team today!